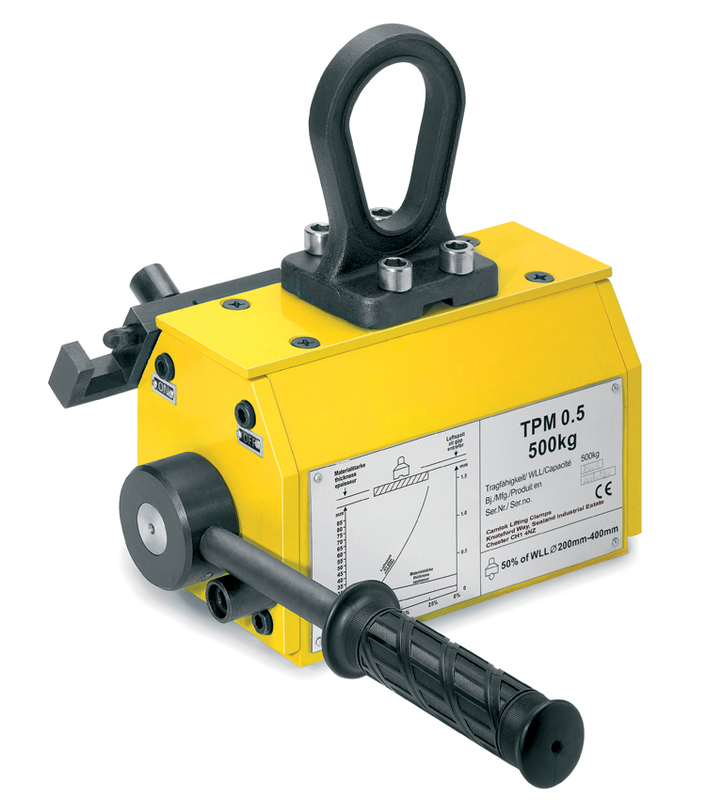 TPM permanent lifting magnets are ideal tools for easy, quick and economical transport of heavy objects made from ferro-magnetic material. Typical operating areas are workshops and warehouses, loading and unloading of machines as well as construction of jigs and fixtures. Air gap: High magnetic forces created by the TPM allow the magnet to clamp components through the air gap, however, air gaps will reduce the magnetic performance as they provide a barrier between the contact surfaces. Air gaps occur in a number of different ways such as paint, dust and heavy mill scale. Poorly machined surfaces also constitute an air gap. Please down rate the magnet capacity in accordance with the adhesive force/air gap diagram below. 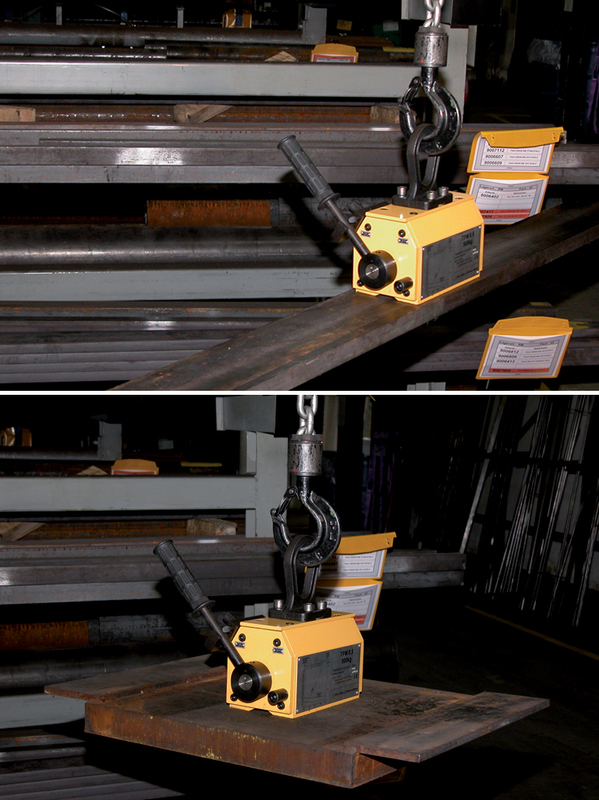 Contact area: Full lifting capacity can only be achieved when the magnet has full contact area with the component being lifted. If the contact surface has holes in or is uneven then the performance will be affected accordingly. Always carry out a trial lift in these circumstances to establish correct lifting before transporting the load. Material type: Certain materials have different abilities to carry magnetism. 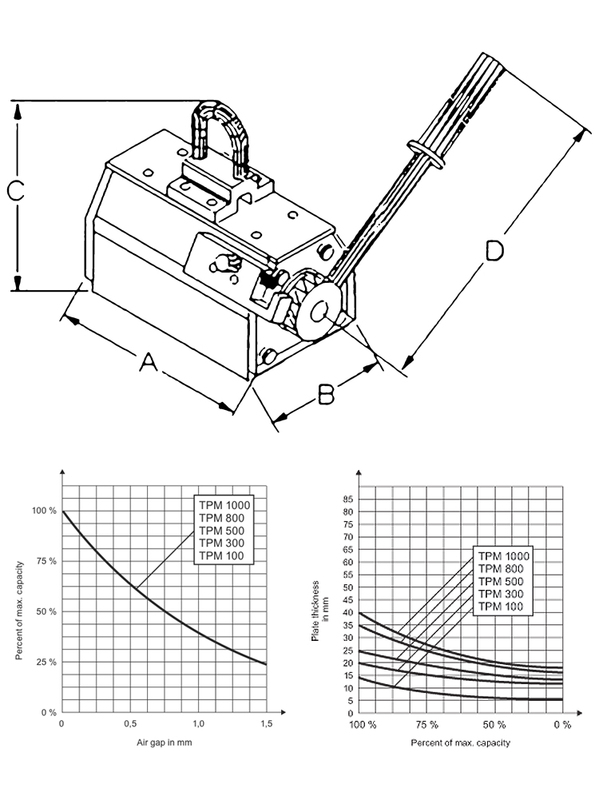 For materials other than mild steel a reduction factor must be applied in order to calculate the effective clamping force.